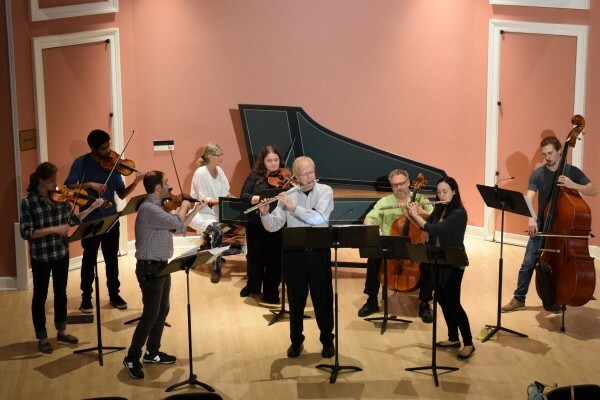 We are proud this year to offer the UNC community another installment of our long-running William S. Newman Artists Series: 8 concerts celebrating the alliance of scholarship and performance that animates the lives of music faculty and students at Carolina. This year’s series features a diverse collection of music department faculty and guest artists in performances ranging across the musical spectrum, from timeless classics to under-explored repertory to exciting contemporary compositions. We offer individual or family subscriptions (two adults and their children) to the full or half series, now at HALF PRICE to our UNC community. We offer a Newman Pick 5 pass, but the subscription passes may also be substituted for admission at any of the Department’s 2018-19 Scholarship Benefit concerts. Please take advantage — it’s the best music bargain in town! Subscriptions are available via both the Music Department Office (919-962-1039; music.dept@unc.edu) and at the door prior to Newman Series events. Payment can be made via cash or check (made out to “UNC Music Department” with the name of the pass in the memo line). In addition to series subscriptions, individual tickets to all WSN Series events will be available at door for $15 ($10 for students and UNC faculty/staff).